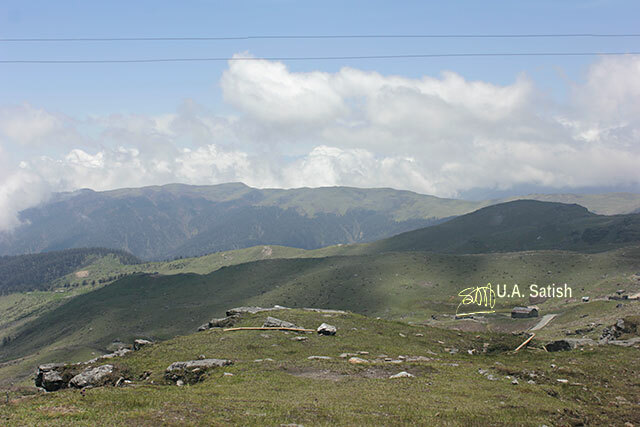 Changu Lake is one of the highest lakes in the world, at an altitude of 12,400 feet. 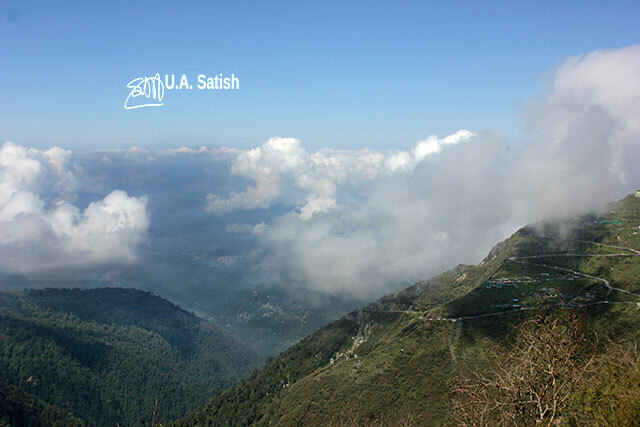 It is 39 km from Gangtok. 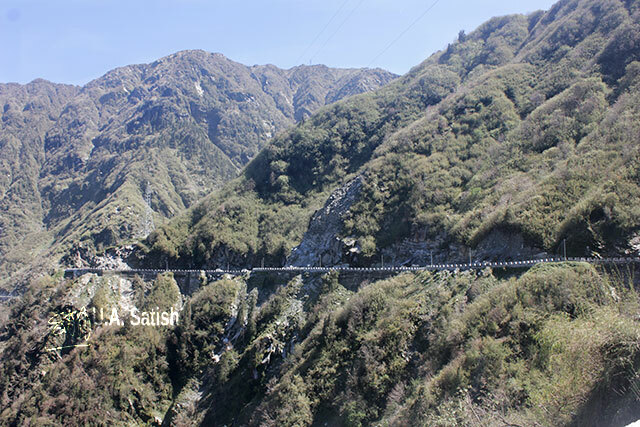 The distance must be covered in a car since trains do not operate in Sikkim. Northeast Frontier Railway is preparing to build a 44.98 km railway line from Sevooke in West Bengal to Rangpo in Sikkim. Fourteen tunnels have been planned to avoid loss of forests. 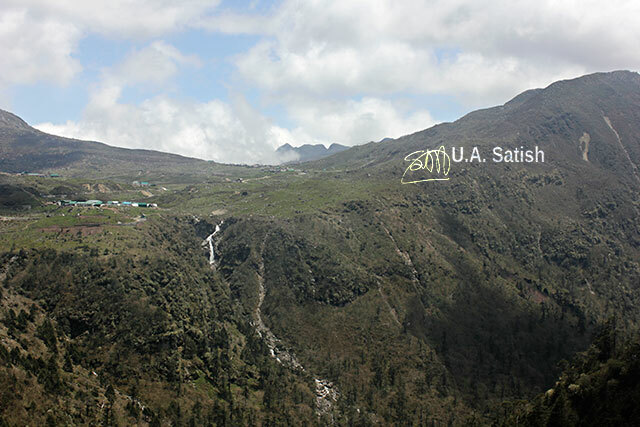 We started from Gangtok at 7:30 in the morning. The roads are narrow. Road widening work was going on in some places. Landslides can occur during rainy season. 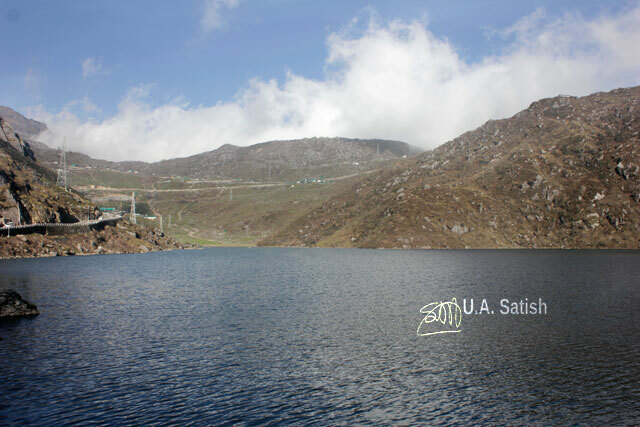 We climbed from Gangtok at 5,249 feet to Changu Lake at 12,400 feet. The route is scenic. 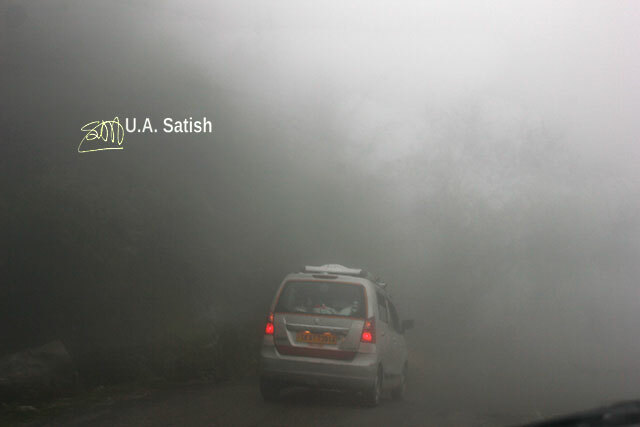 Because of the mountainous terrain, vehicles like Tata Sumo, Xylo or Innova are generally preferred. The round trip cost ranges from Rs. 2,500 to 3,500. Shared services are also available and cost Rs. 350 to 400 per person. 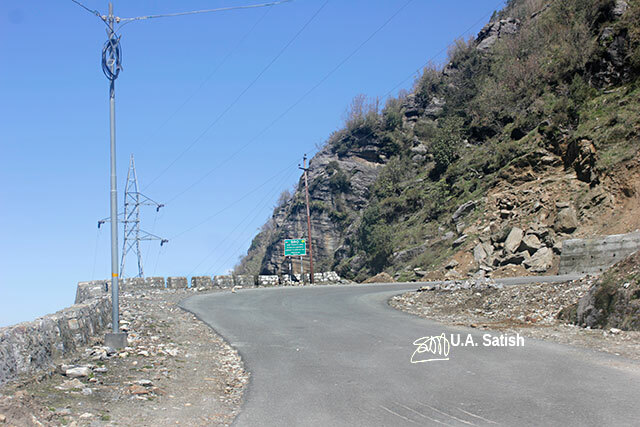 The roads are maintained by Border Roads Organisation. The area is close to the international border with China. 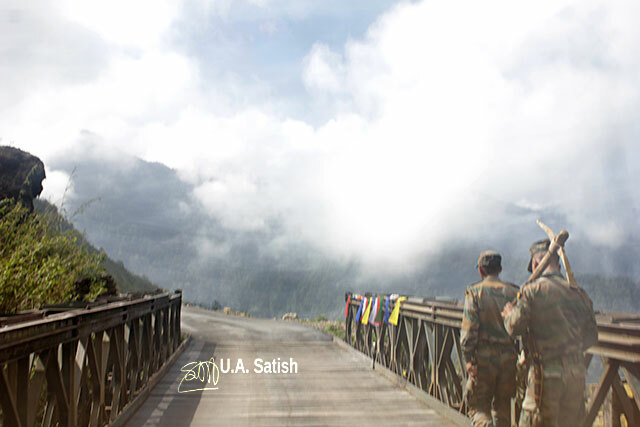 Convoys of army trucks and vehicles could be seen from time to time. The area is thinly populated and there were few people on the road. Restaurants are hard to find enroute. Small food stalls sell momos and noodles. Travellers should carry provisions of drinking water and snacks. As we climbed up towards Changu Lake, we saw mountains with snow on top. We were there in early June and the snow cover had reduced. In winter, from November to March, roads will be covered with snow. Our driver told us that they have to fit snow chains on the wheels in winter. 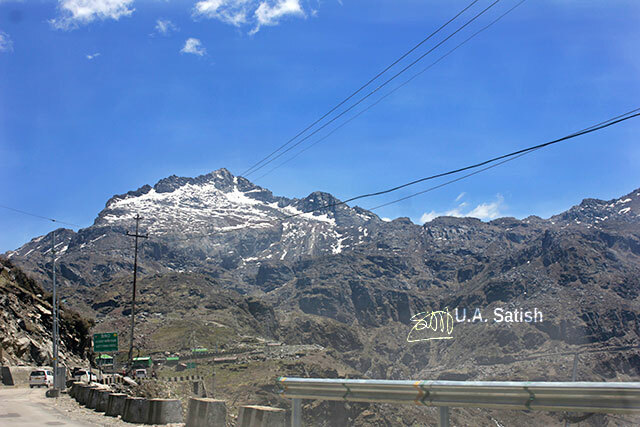 At high elevations, oxygen content in the air is low. Some persons may experience palpitations and breathlessness. This could occur when the tempo of physical activity goes up. Some shopkeepers near Changu Lake provide oxygen cylinders to travellers in distress. Changu Lake is considered holy by the locals. It is prohibited to enter the lake. Fishing is not allowed either. The lake is covered with snow in winter. Migratory birds like the Brahmini ducks take a break at the lake on their way to the plains of India. You will find many colourfully decorated Yaks in the area. The animals are employed to carry visitors on rides. 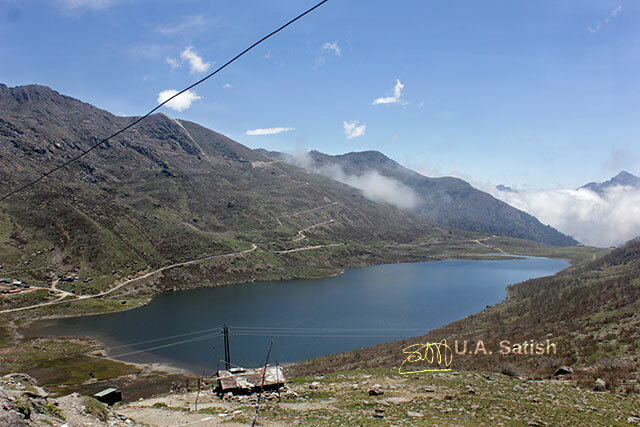 Twenty two kilometres (37 min) from Changu Lake is the beautiful Elephant Lake. It is surrounded by mountains and valleys. The shape looks like that of an elephant. In Kupup village nearby, an 18-hole golf course has been built. At 13,00 feet, it is the world’s highest golf course. 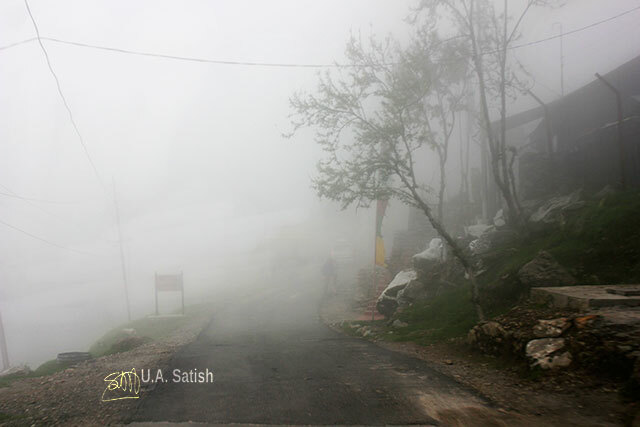 On our way back, heavy fog suddenly descended on the road. Visibility was very bad. It caused us some anxious moments as the road had a sheer drop on one side. But our driver was experienced and skillful. He took us to our hotel in Gangtok without trouble. If you liked my post, please feel free to follow me on Instagram, Flickr and Facebook for regular updates.